Booking for 2019 is now available! Click the link below to be taken to our online booking page. If you run into any issues while booking, please email help@beyondwordstours.com. If you’ve been on our tour please leave us a review. Looking to see what others thought? Click below. You can also review us on Trip Advisor! North Atlantic Aviation Museum is a registered Canadian Charity. Please consider making a donation toward the Ferry Command Memorial Hall project today. Click below to learn more and make your donation today! 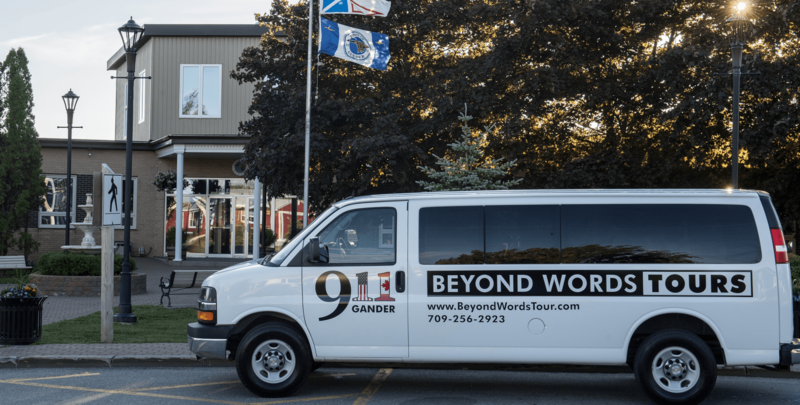 Take it From Kevin T.
Beyond Words Tour – A Come From Away Experience is a tour of Gander, showcasing some of the key locals, places, and events of the week of 9/11/2001 in Gander. 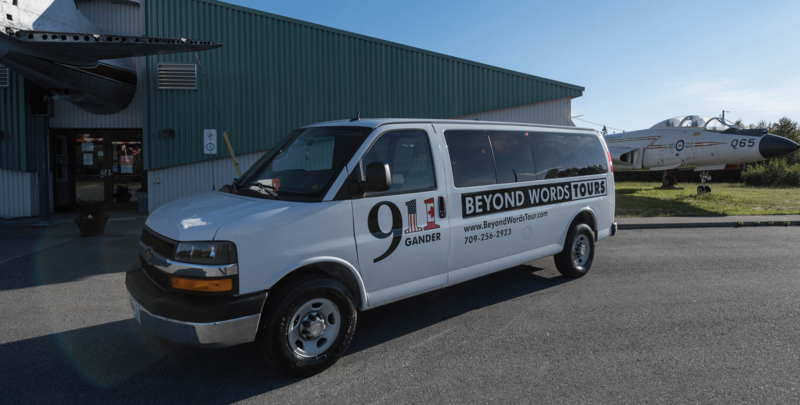 The tour will take you to the Gander International Airport, Gander Town Hall, an exclusive mini exhibit, driving tour around key areas of the town and concluding at the North Atlantic Aviation Museum where you can have as much time to browse as you require. The tour begins with where it all started, the airport, the stepping off point for the passengers once allowed to disembark their planes. They were brought through, taken care of and organized before being sent out into Gander and surrounding towns. At the town hall, there will be an exclusive look at the mayors office and a presentation by a notable local person! 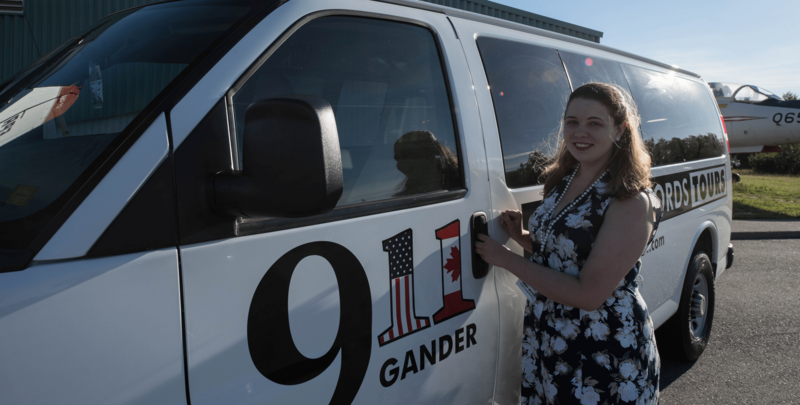 An exclusive mini-exhibit will be set up at one of the tour stops where tour patrons will gain an inside look at some of the things that the plane people had left behind or had sent back to Gander after the fact whether it was in 2001 or years later. New for 2018, an exclusive “Beyond Words Tours” souvenir shop will be available to tour patrons at the mini-exhibit. Read more about our tours.